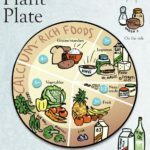 Doctors at the Cleveland Clinic suggest that vegans should know something about diet planning in order to make sure they are meeting nutrient needs. Their conclusions were published in the Journal of the American Osteopathic Association. The paper doesn’t say anything that is particularly alarming, and, with a few exceptions, there isn’t much in it that I would take issue with. But the Cleveland Clinic press-released the findings, giving the media a chance to scaremonger about vegan diets—and you know how much they like to do that. As is often the case, headlines didn’t exactly reflect what is in the paper. For one thing, it wasn’t a “study.” It’s a very short review, which means that it is a discussion of already-published research and doesn’t provide any new information about vegan diets. Nor does the paper say, by any stretch of the imagination, that vegans are likely to be malnourished. Vegans who don’t take vitamin B12 supplements or use fortified foods are likely to become deficient. Yes, indeed. Have I mentioned one or two or a thousand times that vegans need to supplement with B12 via vitamin tablets or fortified foods? (And, by the way, so do many omnivores). Vegans may consume more iron than omnivores. 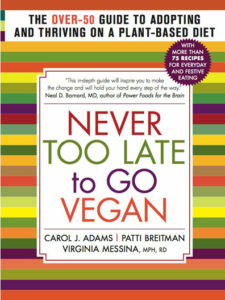 The authors found this surprising, which suggests that they may not be all that knowledgeable about vegan nutrition. Plant foods are generally higher in iron than animal foods, and some animal foods—namely dairy—have barely any iron at all. It’s not at all surprising to see high iron intakes among vegans. Young vegan women are at higher risk for iron deficiency anemia than older vegan women. True and not particularly relevant. Women who have their period lose more iron than women who have stopped menstruating. So young women are generally at higher risk for iron deficiency than post-menopausal women. Young vegan women are at higher risk for iron deficiency than omnivores. 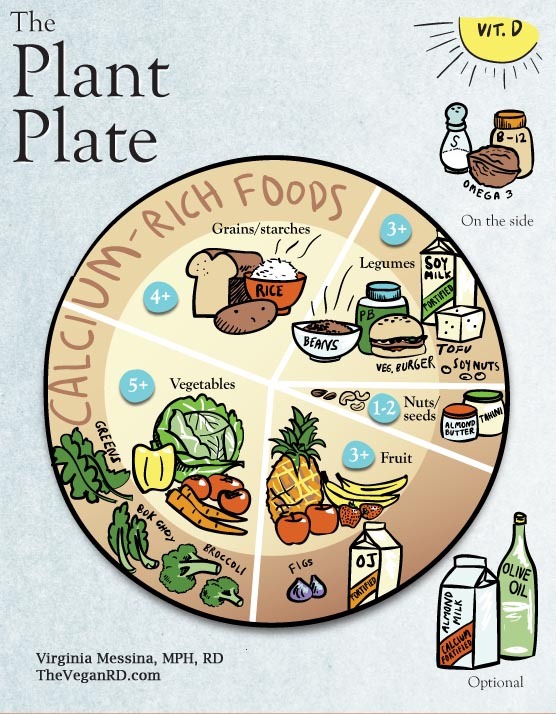 Some vegans have low intakes of calcium and this could raise risk for bone disease. 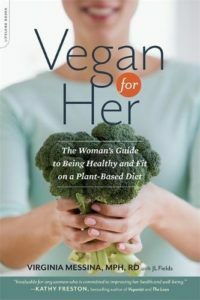 They cited two studies (there are many more studies that have looked at calcium intake among vegans) and one of them was in children fed a restrictive macrobiotic diet in the 1980s. This is not the least bit relevant to modern vegans who eat a more liberal diet and who have access to a much greater variety of foods. The paper also didn’t acknowledge that even lower calcium intakes among vegans can (sometimes) translate to higher amounts of absorbed calcium if much of the calcium is coming from cruciferous vegetables. But definitely, vegans should make sure that their diets contain adequate calcium. Vitamin D deficiency is not unique to the vegan diet. Concerns about DHA and EPA in vegan diets haven’t been substantiated, but vegans who are worried can take algae derived supplements. That’s pretty much what I say. Again, this is true, because as long as vegans include legumes in their diets, total protein and amino acids needs are easily met. 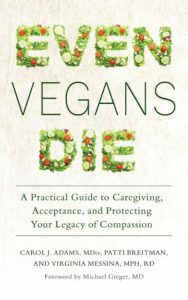 In summary, while there are ways in which a vegan diet–like any diet– can fall short of nutrient recommendations, nothing in this paper suggests that a vegan diet is dangerous or ill-advised. But, yes, being knowledgeable about food choices is important. Vegans need to pay attention to responsible sources of nutrition information; it’s not enough to “eat a variety of whole plant foods.” Humans did not evolve on a vegan diet, after all, and very few of us grew up within a vegan culture. Meeting nutrient needs is neither intuitive nor automatic. It’s why I do what I do—which is to constantly harass vegans to make sure they are supplementing with vitamins B12 and D, eating legumes, and paying attention to calcium, iodine, and omega-3 fats. As long as vegans do so, we can meet nutrient needs easily. And it will get harder and harder for the media to pretend that our diet is dangerous. Last time I looked at the nutrition profile on those peanut butters, it didn’t look that bad. Indeed, comparing jif peanut butter to the generic peanut butter, or peanuts, yields very similar results. For example, in 2000 calories, B3 is 43.9mg for generic, 42.1mg for jif, and 42.6 for peanuts. Jif contains only 31.6g of sugar, compared to 14.0g for peanuts. Other nutrients vary more greatly, likely due to the strain of peanut. While I agree that added saturated fat and sugar is not a good thing, amounts added to peanut butter are minimal on a per calorie basis. Oops. I meant to mention that the data was from cronometer.com. Also, when I wrote “other nutrients”, I was meaning other than B3, as I hadn’t added the bit about sugar yet. Recently I had someone ask to my face where I get my protein. I just answered “food” and she was shocked. But then after a few days of thinking there must be a better way to answer, I realized I should just counter with the question “*where* do you get yours?” Meaning: quality protein from vegan sources is probably better than bacon and steak every day. Studies like these, read by the non vegan and certainly not followed up by reading a great article like yours, only fuel their disdain for our veganism. I like to ask them in return where they get their fiber. 95% of Americans are deficient in fiber and 0% are clinically deficient in protein if they consume enough calories to maintain weight or gradual weight loss (i.e. aren’t crash dieting, don’t have an eating disorder or suffer from a severe illness). And fiber is not just some inert bulk forming part of food that makes bowel movements easier. Lots of researcher coming out about the effect of fiber on balance of gut bacteria and how gut bacteria can have profound effects on health. Thank you for your summary. I was directed to your site via Care2 where a critique was written about the newspaper article. I have been meaning to get an algae supplement but the days get gobbled up so fast. Thanks for the reminder to do so. Vegans are the consummate label readers, which usually includes the nutrition panel. In fact, the longer we have been vegan, the greater the likelihood of knowing more about nutrition/medicine than Drs/RDs. I just spent 3 days in the hospital having a hip replaced. Not only did I know drug alternatives to standard animal derived blood thinners (eg heparin), I also knew which foods were natrual blood thinners. Because I did my homework beforehand, it meant I was constantly rejecting “assembly line” medicine (eg lactacted ringers, stool softeners, anti-nausea pills, etc). What they gave me during geneal anesthesia was beyond my control, but if I was conscious, I was constantly questioning what was being done/prescribed and why. As for the food…. don’t even get me started. I had fruit plates (just grapes, watermelon and cantaloupe) all 3 days. Supplemented with relatives bringing in vegan food. Why hospital food service departments (and ARAMARK which supplied this hospital) think beef stew, lasagna, fried fish, white bread, mashed potatoes etc are suitable healthy and healing foods, I have no clue. I guess I could have switched to the non-cholesterol diet, but that would involve getting the Dr. involved and it wasn’t worth it for 3 more meals. Healthy hospital food needs to be the next “holy grail” for vegans (and the rest of the population). Thank you for a wonderful, informative article. 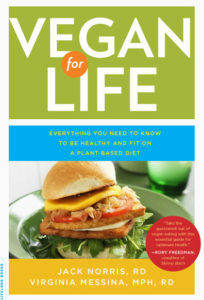 I am switching over to a vegan diet (from lacto ovo), and find your articles, and the simple way of explaining things (for those of us not well versed in nutrition) so wonderful. Also, thanks for the print feature! 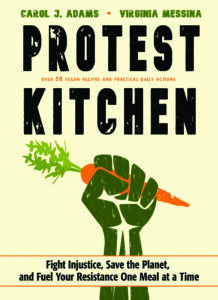 I am now retired and on a limited budget, and can’t spend on vegetarian books the way I used to! I print out the articles that apply to me and save them in a folder. Thanks again for educating us about nutrition in a totally fad-free, informative manner.